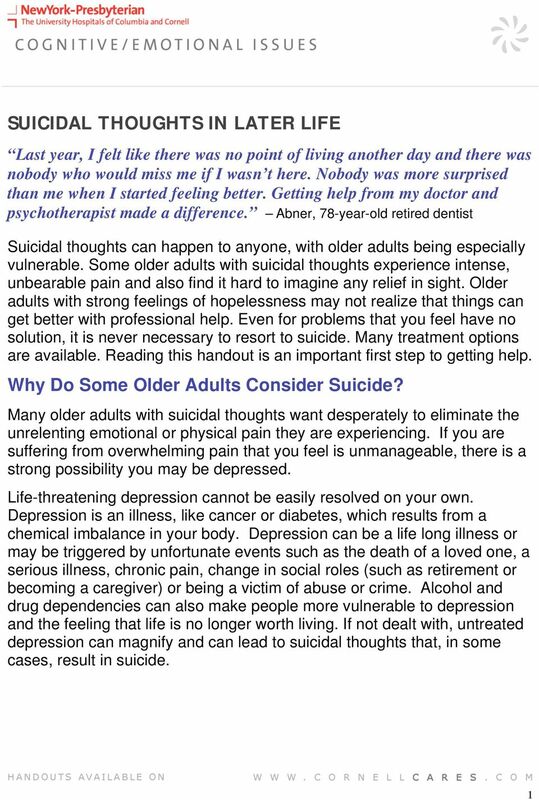 Download "SUICIDAL THOUGHTS IN LATER LIFE"
MIND MATTERS COUNSELLING SERVICE. Registered Office: 309 Regent Street, London W1B 2UW. Depression. 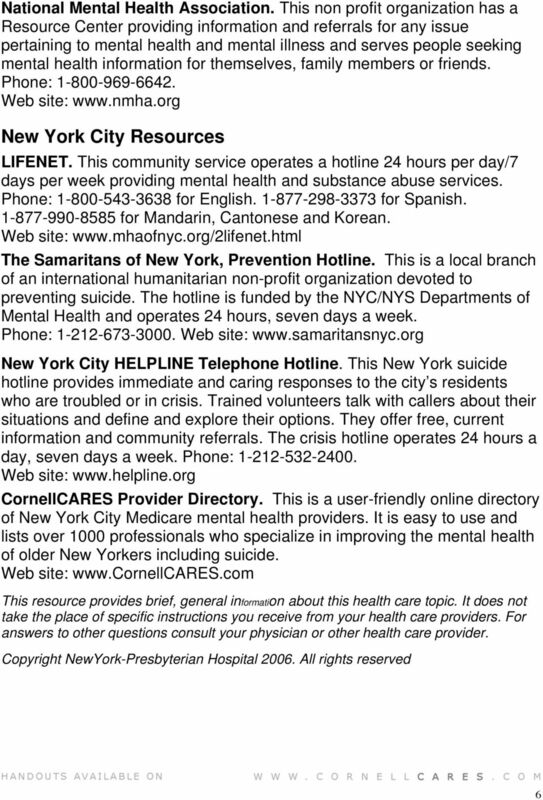 This factsheet provides a basic description of depression, its symptoms and the treatments and support options available. 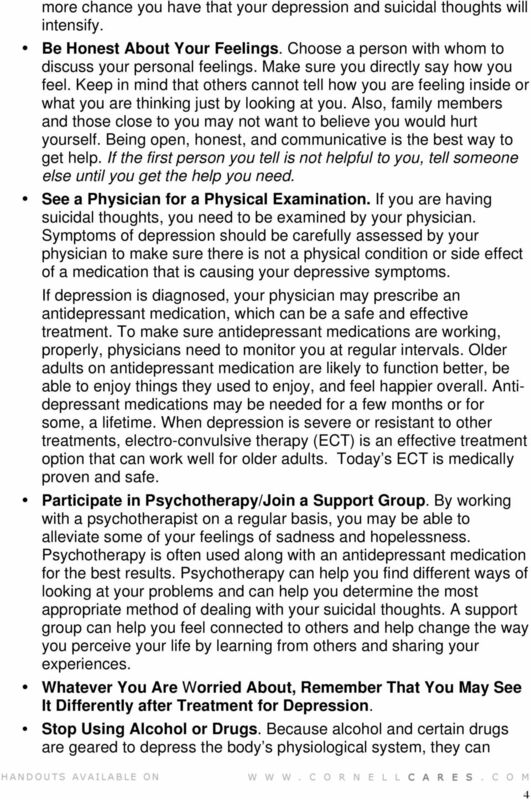 See also www.thiswayup.org.au/clinic for an online treatment course. 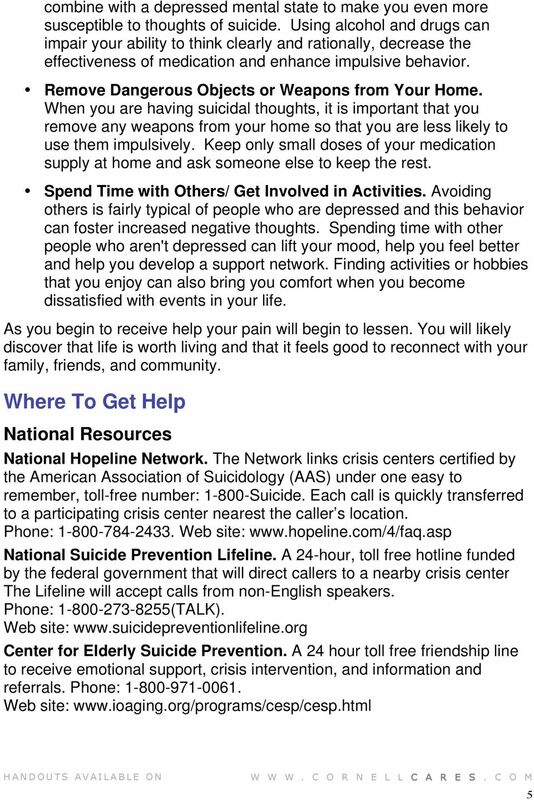 Depression What is depression? 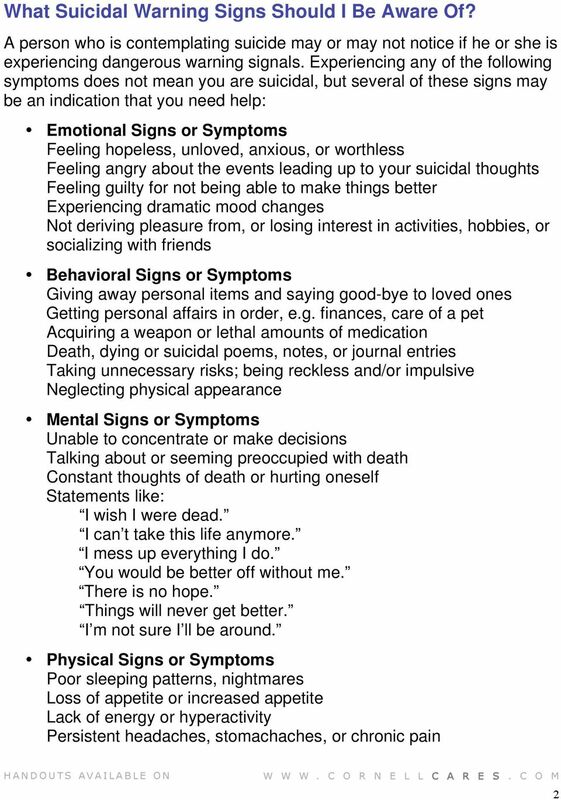 Depression is one of the common human emotional states. It is common to experience feelings of sadness and tiredness in response to life events, such as losses or disappointments. What does it mean to be suicidal? Major Depression. 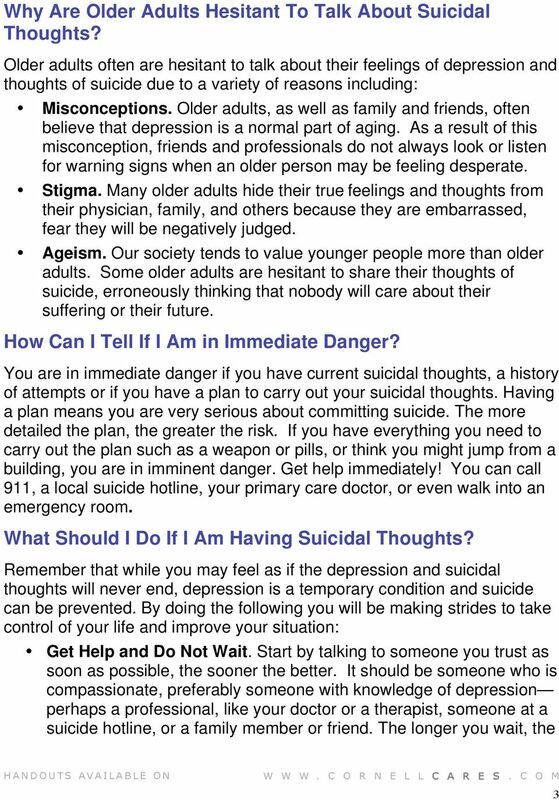 What is major depression? Research has shown that up to ten percent of depressed people also abuse alcohol. Many people abuse alcohol when depressed because it makes the sad feelings go away. However this is only a temporary fix. Problem Gambling. Over the last decade, legalized gambling in Canada has grown - rapidly! So has problem gambling!